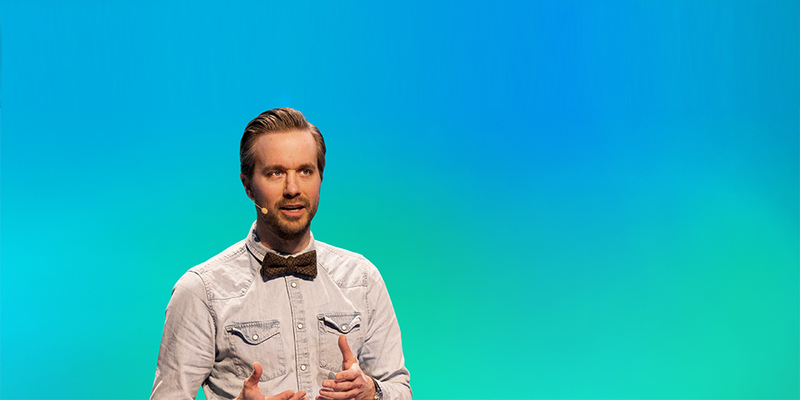 clevergig is a B2B SaaS company and Startupbootcamp alumnus. Their smart on-demand scheduling software allows temp agencies and other middle-men to quickly match the right worker with relevant shifts or projects. They are tapping into the fast-growing gig economy and on-demand product and service deliveries. Find out why clevergig is a product-market fit and why they chose Leapfunder as their online funding platform for the third time. 1. Hi Michel, thank you for agreeing to do the interview! Tell us about clevergig, the idea that got it all started. What are the benefits of your product and why is it a product-market fit? Our journey started from a personal desire for freedom and autonomy. As an entrepreneur, you get to make all the decisions and are free to focus on whatever you think is best for the company. This desire for freedom is also increasingly visible in the labor market, where individuals want to decide who they work for and when, while companies wish to hire the best team for the task or project at hand. We are a big fan of this structural change and the role that technology is playing to enable that change. What we do is quite simple. Our scheduling software helps intermediaries like temp agencies to quickly fill open shifts with the right worker. We are focused on the on-demand space, which is a rapidly growing market. Consumers increasingly want products and services now and delivered to their door. This has a major impact on how companies organise their labor force and we are helping them do just that. After a period of product discovery and a major pivot, we have now indeed found product/market-fit. There is a clear need for our Software-as-a-Service (SaaS) solution, with dozens of paying clients that actively use our product on a daily basis. Our clients’ workforce is also highly dependent on our app to make a living, which is a big responsibility. 2. After your first Leapfunder round you got accepted to Startupbootcamp. What did you learn there and what did you apply? How much growth potential do you see for clevergig after Startupbootcamp? We mainly learned to quickly validate our assumptions and to not be afraid to make changes to the value proposition and business model, if needed. The whole accelerator experience also brought our team more closely together and aligned on where to go next. 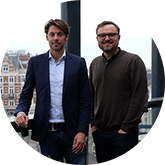 Our biggest decision during Startupbootcamp was to pivot from our initial online marketplace proposition to a B2B SaaS solution. We see huge growth potential, both in other industries and geographical markets. The growth of on-demand labor is a global phenomenon. Of course, there are many competitors in scheduling software, but none focus on the intermediary channels like we do. 3. 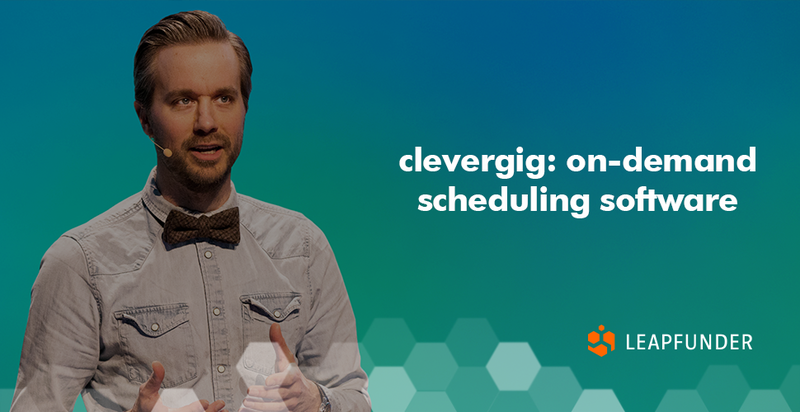 How is clevergig revolutionizing the labor market? What are the most important lessons you have learned over the years and how did they help you improve your business. The bigger story is that we are contributing to a new way of matching workers with work. Where companies can hire the right people for the task at hand, and workers are free to do the work they want to do, when they want to do it. I guess the main lesson we learned is to differentiate between the long-term vision and the short-term value proposition and results. To stay focused on executing an ultra clear proposition that delivers a ton of value now to a specific target group. The average startup’s website can be overwhelming and confusing, with huge stories about how they wish to change the world. We try to keep things simple and clear. 4. This will be your third Leapfunder round. What makes this online funding platform the right tool for your startup? What are your expectations for this round? We like Leapfunder because it allows to relatively quickly set up a round, bring on our own network of investors, and tap into the Leapfunder network. Our goal is to raise approximately €75K. The current round is a bridge round, that will enable us to become cash flow positive. That can open a lot of doors, such as a bigger growth round in 2019. It is thus not a big round, as we don’t need that much to become cash flow positive. We expect a lot of interest in our round, as it is a relatively safe bet. We have already found the product/market-fit, and a rapidly growing base of paying customers. 5. What are your plans for the upcoming months? Tell us about your go-to-market strategy. On one hand, we will keep pushing our current outbound sales and inbound marketing activities. On the other, we will increase our product exposure to a bigger audience, via partner channels and by making our product an easy add-on to adjacent software, such as CRM and recruitment systems. The primary focus is to then become cash-flow positive, and be free to control our own destiny. Thank you, Michel. We wish clevergig the best of luck! Join our network of startups and investors.